Stephanie discovered her love of sewing when she was “accidentally” placed in a Fashion Design class in high school. She continued on to Lindenwood University in St. Louis, MO to complete a degree in Fashion Design. While she was in college, she worked at a sewing and quilting shop where she first experienced the awesomeness of a computerized sewing and embroidery machine. She quickly took to Baby Lock sewing machines and their ease-of-use. 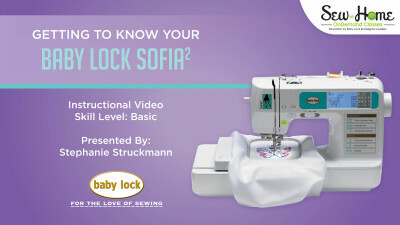 When the shop sent her to Baby Lock training to learn how to sell Baby Lock, she was incredibly inspired by the trainer who taught her and secretly hoped that she could be a Baby Lock trainer one day. 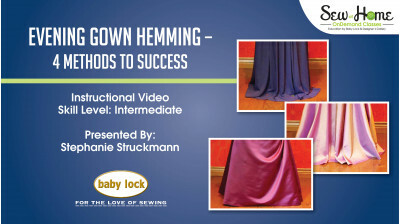 After graduation, Stephanie owned a small home business teaching others the love of sewing through in-person classes. During that time, she began creating projects for Baby Lock, which led to work with Baby Lock Product Support, Marketing, and now, Training! Stephanie is completely in love with her husband and 3 beautiful kiddos, and she lives in St. Peters, MO.